Once upon a time, just outside of Austin, there was a showdown unlike any other. Wait…scratch that, this wasn’t a fairy-tale. This was serious competition. The annual Texas Auto Writer’s Association Truck Rodeo, is the real deal, with over 70 journalists driving trucks, CUVs, SUVs, and even a few commercial vehicles in just two days. Our mission: evaluate the best of the best and choose winners in each category. But first, before we could start kicking up the dust at the Longhorn River Ranch in Dripping Springs, TX, I had to drive over from Dallas. So I saddled up in the 2017 Nissan Armada Platinum, with no idea my ride was about to be the star of the show. 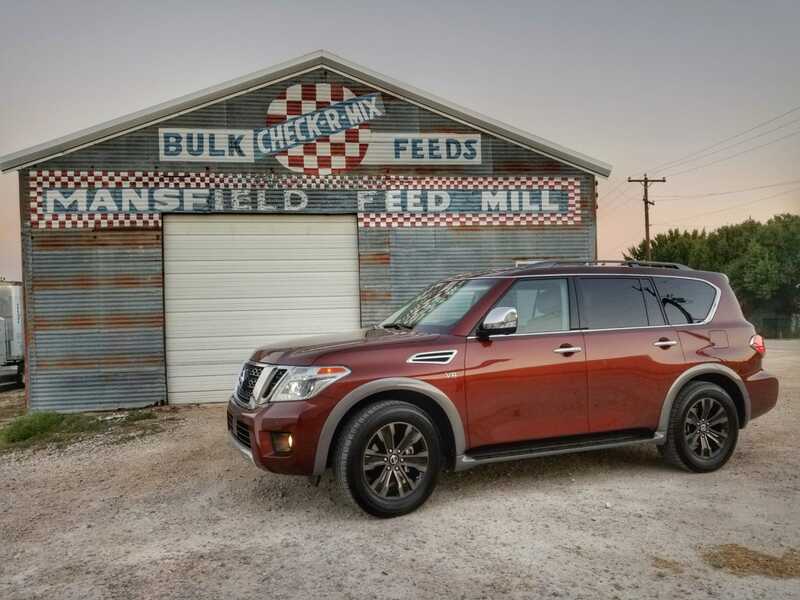 You see, when the dust settled (and there was a lot of dust) the 2017 Nissan Armada was named the SUV of Texas. With 200 road miles between Dallas and Austin, I had plenty of time to evaluate the three-row SUV, but the evaluation doesn’t begin and end there. 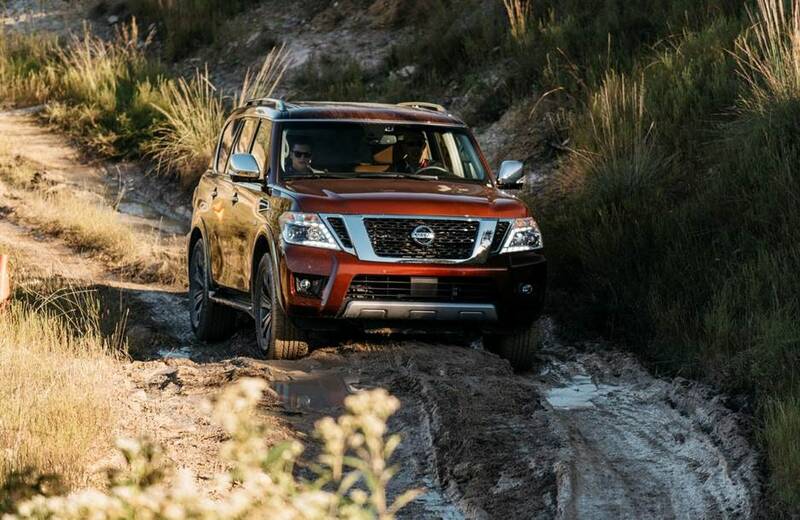 With three courses and varying levels of difficulty, the newly introduced 2nd gen Armada kicked up rocks and tackled hills, to impress journalists with its off-road capabilities. Nissan’s new Armada stands out from the crowd with its rugged good looks, premium interior and affordable price tag. The 2017 Nissan Armada SV 2WD MSRP is $44,400 with the top of the line Armada Platinum starting at $59,990. The 2nd generation Armada continues its heritage with a rugged body on frame construction. The SUV of Texas is powered by a new 5.6 liter Endurance V8 and new 7 speed automatic transmission, producing 390 horsepower. Nissan continues its reputation for value and choice, offering a range of three high-content grade levels – SV, SL and Platinum – in both 2-wheel and 4-wheel drive configurations. And Nissan knows safety is a priority for their SUV owners, so the 2017 Armada offers class-exclusive available safety and security features – including Predictive Forward Collision Warning (PFCW), Blind Spot Intervention (BSI), Backup Collision Intervention (BCI) and Around View® Monitor (AVM) with Moving Object Detection (MOD). Journalists agreed the Armada offers families a capable SUV ready for family road trips, even if it means you’ll literally have to drive over the river and through the woods to grandmother’s house. Nissan vehicles won a total of six awards, including three for the new TITAN full-size pickup lineup. As the awards were announced, someone in the crowd said “this is a HUGE night for Nissan.” Swing by Waxahachie Nissan today to test drive their award winning Nissan vehicles.